Pearl Jewelry has never been at the level that is now. There are more beautiful choices in Tricolor Purple Lilac & White pearls than ever before from all parts of the world. 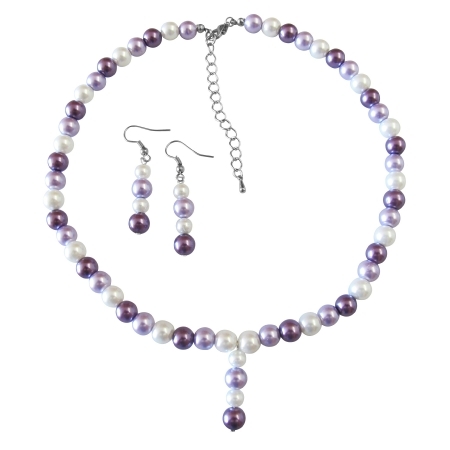 This necklace set is made with beautiful 3 colors Purple Lilac & white pearls is ABSOLUTELY GORGEOUS!! High Quality BridesmaidBridal Flower Prom Wedding Burnt Brown Pearl Necklace & Earring Set. In rich complimentary colors that work magic as they delight the senses!.